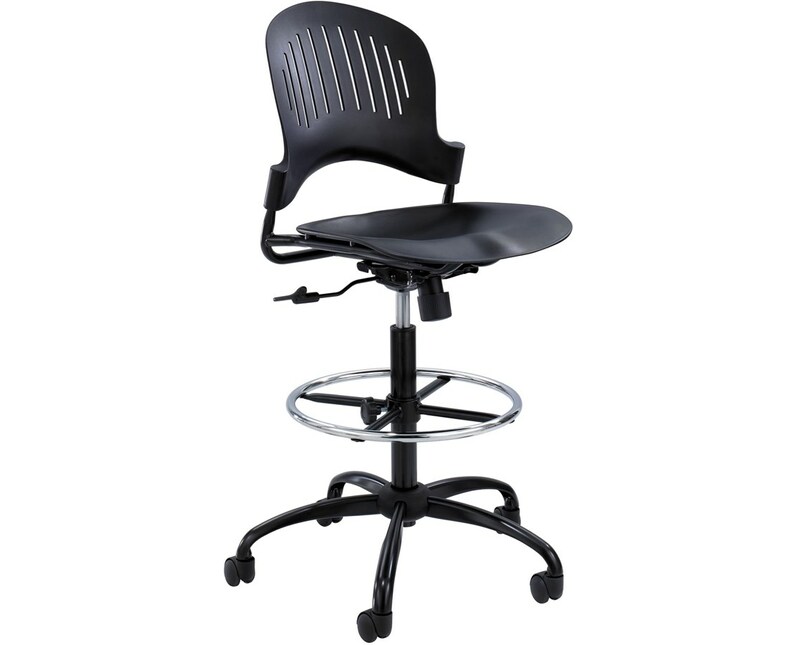 Extendable height of 41 ½" to 52 ½"
The Safco Zippi Plastic Extended-Height Chair is a drafting chair with a minimalist modern style that offers maximum comfort with a variety of adjustment features. It has a weight capacity of 250 pounds and an adjustable height of 41.5 to 52.5 inches. The seat and back are accented to provide a relaxed form. A pneumatic control lever allows easy seat and back height adjustments. Also featured are a 360 degrees swivel, a swivel-tilt mechanism, and a tilt tension and tilt lock to provide ease and stability. This chair also has an adjustable chrome footring for resting the feet while sitting. The 25-inch five-star base has swivel casters for a smooth mobility. 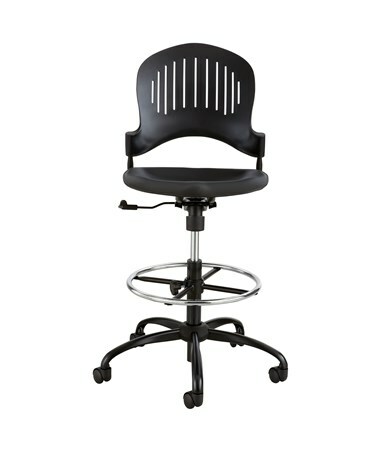 This drafting chair’s seat, back, and are made of plastic, while it’s frame is made of steel with a powder coat finish. It meets ANSI/BIFMA safety standards and is GREENGUARD certified, which means it is safe for indoor use. It is easy to assemble with little effort needed. 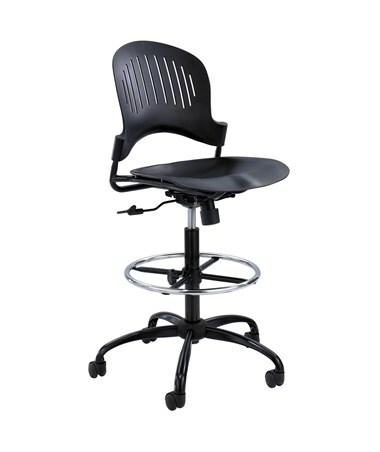 Adjustable Seat swiveling, adjustable height 23"-33"